More than 40 million Americans suffer from chronic, long-term sleep disorders, and an additional 20 million report sleeping problems occasionally, according to the National Institute of Health. 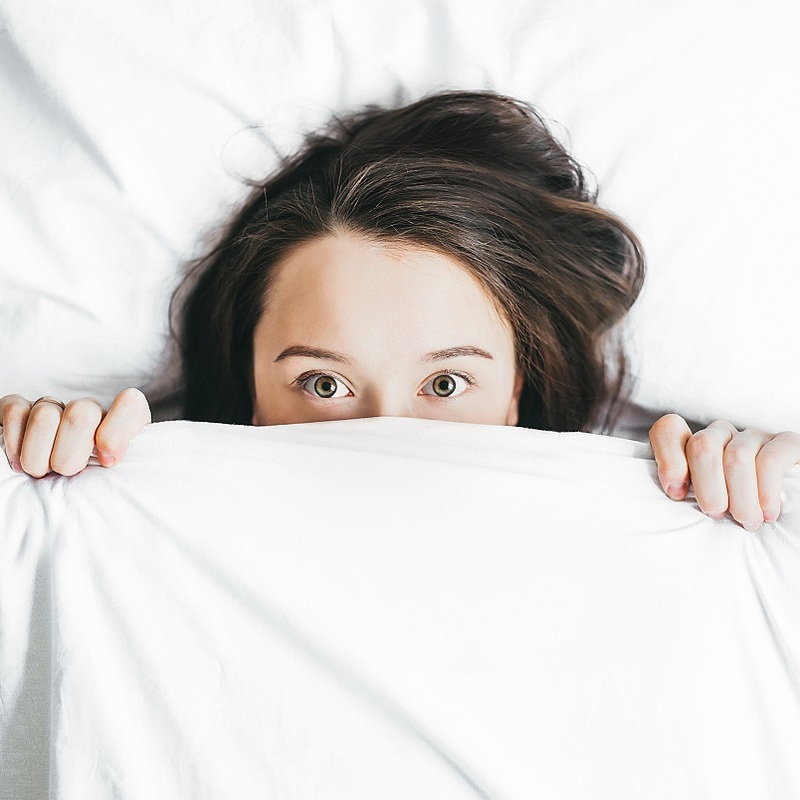 Ever since the Center for Disease Control and Prevention (CDC) published their landmark study in 2013, it has become glaringly obvious that we have a sleep disorder epidemic on our hands that has significant ramifications for our health. The CDC study says that the minimum number of hours of sleep we need per night is seven. 7 – 19% of adults in the U.S. report not getting enough sleep each night, making this a major public health problem. It is hard to know which came first, anxiety or sleep problems. Loss of sleep is a symptom of anxiety and anxiety is also a symptom of loss of sleep. Chronic insomnia is a symptom of both anxiety and depression, so focusing on insomnia may result in the early detection of PTSD and other anxiety disorders. Anxiety and stress can cause an unhappy night without sleep. This includes trouble falling asleep, difficulty staying asleep, multiple awakenings during the night, waking too early in the morning and waking up feeling unrefreshed. A panic attack can also wake you up from sleep. Panic attacks are unprovoked and unpredictable events whose symptoms include chest pain, flushing skin, racing heart, difficulty breathing, and feeling like your going to faint or lose your mind or die (but you aren’t). You can also experience fainting and a sense of impending doom. Worrying and racing thoughts can also wake you up from sleep or make it difficult to fall asleep. The risks of inadequate sleep extend way beyond tiredness. Sleeplessness can lead to poor performance at work or school, increased risk of injury, and health problems. In addition to anxiety and mood disorders, according to the CDC study, those with sleep disorders are at risk for heart disease, heart failure, irregular heartbeat, heart attack, high blood pressure, stroke, diabetes, and obesity. Stay on a sleep schedule, even on weekends. Beware of hidden sleep stealers, like alcohol, caffeine, and over-eating before bed. People who have experienced trauma or have Post Traumatic Stress Disorder often have a difficult time sleeping. Sometimes they have flashbacks of the trauma in the form of a nightmare. Sleep helps us process and recover from the day’s events. This way, we wake up refreshed, and like things are filed away and taken care of. Trauma often isn’t processed during sleep because it is just too overwhelming. Our normal mechanisms to process it just break down. Imagine if you have daily or weekly trauma for a long time, and it continues to not be processed by the brain. It collects and builds up. Then, you start having chronic sleep problems because there are way too many thoughts and feelings that are unprocessed and unfiled and taking up space in your mind. Your life in the present is affected, too. Your brain is so full of unprocessed stressful emotions and thoughts that you have a hard time functioning at a high level. You have trouble concentrating at work and find yourself easily frustrated, quickly snapping at co-workers and loved ones. Your patience has worn thin, or you cry easily at the slightest provocation. This makes our already busy lives really difficult. You feel even more anxiety and frustration, as you can’t live up to your potential. That is where EMDR comes in. EMDR, eye movement desensitization and reprocessing, has been extensively researched and proven effective for the treatment of trauma. It is ideal for processing traumatic events that have been stuck in your mind and keep coming back to haunt you. Some people report better sleep after just a few EMDR sessions, and for others, this can take longer. In this therapy, you choose an image related to the trauma and hold it in your mind while I lead you in back and forth eye movements. In between sets of eye movements, we talk about what comes up. That way all your thoughts and feelings about the traumatic event can get ‘processed’ through and you finally ‘desensitise’ to the trauma. As trauma is processed, sleep starts to recover. One theory is that EMDR works because it imitates rapid eye movement sleep, or REM sleep, which is what processes the day’s input. REM happens during dream sleep. This theory postulates that EMDR brings about the same state as REM sleep. Then, you can finally process and integrate memories that are associated with highly charged, overwhelming negative emotions and memories. The trauma is relieved. Anxiety is often caused by an inability to speak up for yourself. Speaking up to your boss, your boyfriend or girlfriend, with someone you’re dating, or to a friend or spouse can be difficult and stressful. If you continually don’t take care of things right away, they build up and cause you to feel anxious. Being assertive is key to a happy life. After EMDR, you may find it much easier to ask for what you want and, therefore, feel more fulfilled. We can talk about assertiveness skills that you may need to develop. One thing you should know is that if you are too afraid to bring up your traumatic memories for processing, I have other techniques that I can use to help calm and settle your nervous system first, before we do EMDR. These include neurofeedback, developing a safe place, and cognitive behavioral therapy. If you suffer from sleep problems and think that you might benefit from these techniques, please reach out to me by phone 310-314-6933 or email mfoxmft@yahoo.com. I look forward to connecting with you!